It's said that biking is good way for travelers who really want to get close to the people in the countryside. 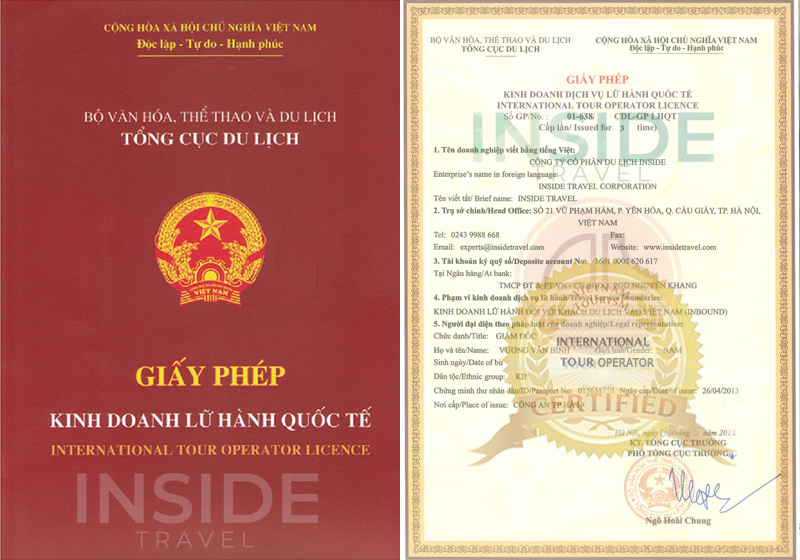 Join in our Vietnam Biking Tours you will have an opportunity to travel with professional guide communicate with locals and discover more about our charming country with rice paddies, emerald jungles and white beaches, etc. A full day biking tour to visit a typical Vietnam’s village and relax with fresh air in peaceful countryside. Chance to visit the purely agricultural village of the Northern Red River Delta and many hundred year old houses. Time to enjoy local daily life and farm works of peasants. Get more knowledge about Vietnam’s history and two heroes of the country in the past Phung Hung and Ngo Quyen. Time to experience the fascinating Mekong Delta. Rowing boat in interlaced canals and discovers the peaceful countryside. Cruising trip to explore the floating market - a typical and cultural lifestyle of South-Western region, enjoy the local life and trading. Chance to understand the daily activities and peaceful life of local people. Visiting lust orchards and enjoy tropical fruits. Time to experience deeply about the daily life of local in the fascinating Mekong Delta by a special way biking. Joining in cruising trips to explore busy floating markets and see the cultural lifestyle of South-Western region as well as enjoy the local life and trading. Discovering many different kinds of bird by a boat trip rowing along the mangrove forest in Gao Giong National Park. Chance to visit the litter Mekong Delta town Sa Dec.
Biking to enjoy the beautiful scenic and tranquil life of local in Cu Chi rural. Understanding Vietnam's history with a visit to historical Cu Chi Tunnels. Chance to know how Vietnamese lived and fought for independence during the French and American War. Time to see local activities along the peaceful biking route. Exploring the Vietnam's World Heritage in the Central, Hue ancient capital and ancient Hoi An city. Chance to visit a typical Vietnamese village in the North Central region, Phuoc Tich village in Hue city. Visiting the main kind of house in Hue city, garden house. Learning more about Vietnam's history by visiting almost historical sites in the region, King Khai Dinh's Tomb, Imperial Citadel, Tinh Tam Lake, and Cham Museum. Discovering the special architecture of Thanh Toan wooden Bridge and An Dinh Palace with the stunning facade integrated by oriental and European designs. Chance to enjoy the peaceful countryside through the North to the South Vietnam on a cycling tour. Discover the Vietnam's architecture on each famous site that was mostly impacted by the French colonial architecture. Join in the daily life of local people on each sites and understand their culture. 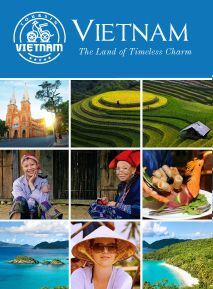 Know more about Vietnam's history by visits to the old capital of Vietnam under Dinh Dynasty, Nguyen Dynasty, lands of Cham Kingdom, and other historical relics. Explore the beauty of impressive nature landscapes in Vietnam, especially the fascinating Mekong Delta and Da Lat - City of Eternal Spring.